Alfred H. Barr, Jr., Matisse: His Art and His Public New York: The Museum of Modern Art, 1951. আইএসবিএন ০-৮৭০৭০-৪৬৯-৯; আইএসবিএন ৯৭৮-০-৮৭০৭০-৪৬৯-৭. Olivier Berggruen and Max Hollein, Editors. Henri Matisse: Drawing with Scissors: Masterpieces from the Late Years. Prestel Publishing, 2006. আইএসবিএন ৯৭৮-৩-৭৯১৩-৩৪৭৩-৮. F. Celdran, R.R. Vidal y Plana. Triangle : Henri Matisse – Georgette Agutte – Marcel Sembat Paris, Yvelinedition, 2007. আইএসবিএন ৯৭৮-২-৮৪৬৬৮-১৩১-৫. Jack Cowart and Dominique Fourcade. 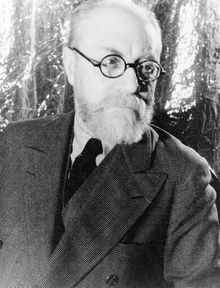 Henri Matisse: The Early Years in Nice 1916–1930. Henry N. Abrams, Inc., 1986. আইএসবিএন ৯৭৮-০-৮১০৯-১৪৪২-১. Lawrence Gowing. Matisse. New York, Oxford University Press, 1979. আইএসবিএন ০-১৯-৫২০১৫৭-৪. Hanne Finsen, Catherine Coquio, et al. Matisse: A Second Life. Hazan, 2005. আইএসবিএন ৯৭৮-২-৭৫৪১-০০৪৩-৪. Pierre Schneider. Matisse. New York, Rizzoli, 1984. আইএসবিএন ০-৮৪৭৮-০৫৪৬-৮. Hilary Spurling. The Unknown Matisse: A Life of Henri Matisse, Vol. 1, 1869–1908. London, Hamish Hamilton Ltd, 1998. আইএসবিএন ০-৬৭৯-৪৩৪২৮-৩. Hilary Spurling. Matisse the Master: A Life of Henri Matisse, Vol. 2, The Conquest of Colour 1909–1954. London, Hamish Hamilton Ltd, 2005. আইএসবিএন ০-২৪১-১৩৩৩৯-৪. Alastair Wright. Matisse and the Subject of Modernism Princeton, Princeton University Press, 2006. আইএসবিএন ০-৬৯১-১১৮৩০-২.